It’s time to reel in the big one! Little anglers can hook the catch of the day. 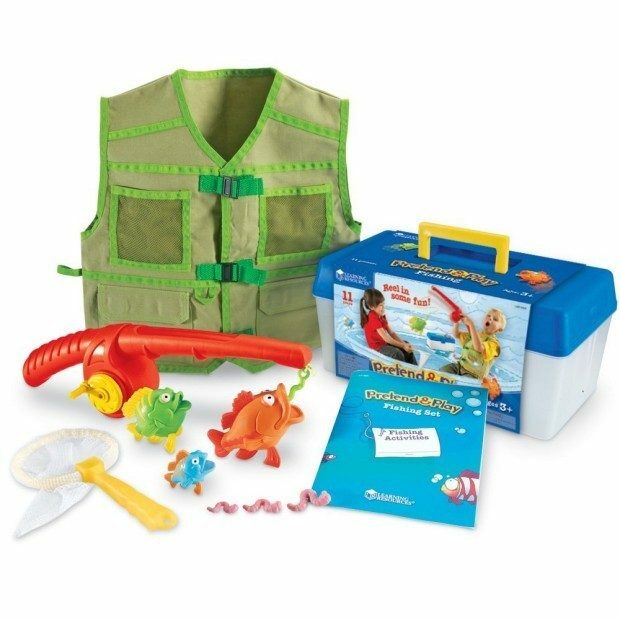 Adjustable vest makes play even more realistic. Play a size matching game with worms and fish. Activity Guide features 6 pages of write and wipe fishing-themed activities!